Shredded coconut is my go-to ingredient when it comes to adding some coconut to my baked goods. 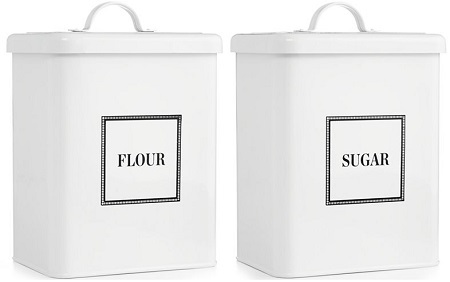 I like it both sweetened and unsweetened, toasted and untoasted. It can be added to almost any recipe. But shredded coconut isn’t the only type of coconut out there that you can bake with and, depending on your recipe, you might want to go with coconut chips instead. 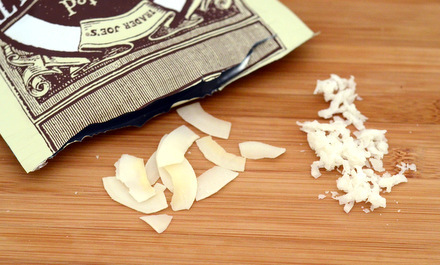 Coconut chips are longer, wider pieces of coconut than what you’ll find in a bag of traditional shredded coconut. The strips of coconut are roasted in an oven until they are dry and crisp, with a texture that is more similar to that of a potato chip than the chewy strands of most shredded, untoasted coconut. 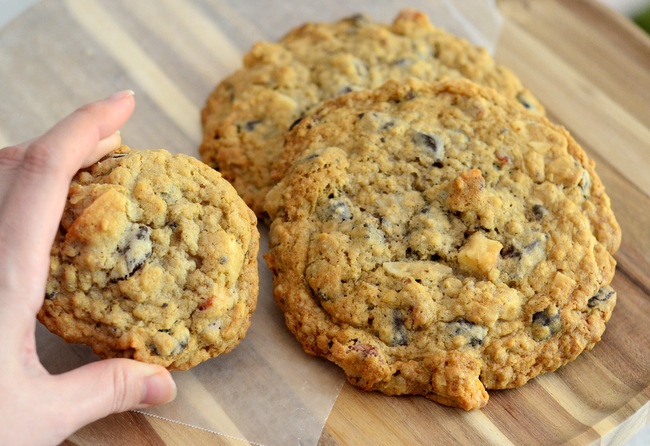 The larger size of the chip means that they can be treated more like chocolate chips or nuts in a recipe, as the mix-ins will stand alone and deliver a little more flavor each time you bite into a piece. Shredded coconut, by contrast, ends up getting distributed so evenly throughout a batter or dough than you need to have quite a bit before you really get a lot of coconut flavor. The chips are also a good choice for snacking as their size makes them more satisfying than a handful of shredded coconut. 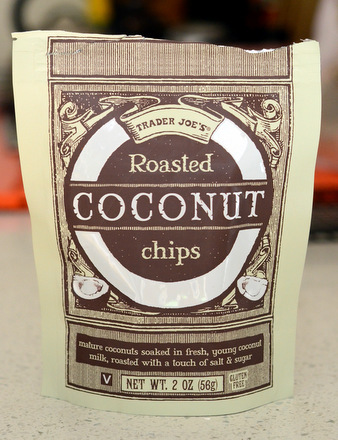 I’ve been getting my coconut chips at Trader Joe’s, but I’ve also seen them in Target and some other retailers. They’re usually in the healthy foods or nut/dried fruit area of the store.